A recurring problem – especially this time of year is dealing with porch pirates. Here are 7 ways to keep packages from getting stolen off your porch. One unfortunate side effect of our modern buy-everything-online lifestyle is package theft. 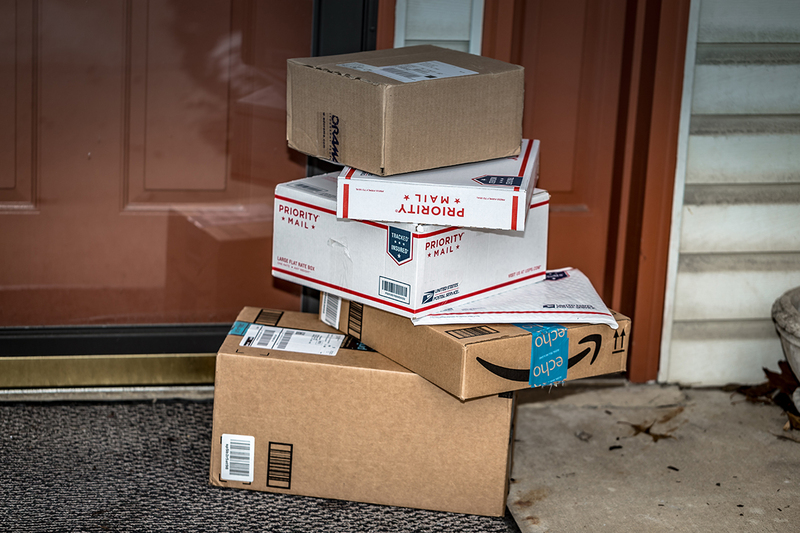 A box or pile of boxes left sitting on your front stoop makes an easy target for “porch pirates,” some of whom follow delivery trucks and scoop up packages moments after they’re dropped off. This has turned into a serious problem. According to a recent Comcast Xfinity Home survey, some 30 percent of Americans have had a package stolen from outside their home. So what can do you? How can you thwart these thieves? Let’s take a look at some of your options. Amazon is tackling this problem head-on with Amazon Key, which combines a smart lock and security camera that will allow delivery services to place packages just inside your front door. The Key kits start at around $250, a price that includes professional installation. It’s currently available in about three dozen US cities, with more planned for 2018, and you must be an Amazon Prime subscriber to get it. Amazon deliveries don’t have to end up on your porch. They can go to Amazon Lockers, which are exactly that: lockers located in various high-profile locations (think Whole Foods, department stores and so on). Upon delivery, you’ll receive the combination needed to retrieve your package. Of course, the whole point of package delivery is convenience; driving to a store kind of defeats the purpose. But if you frequently shop at, say, Whole Foods anyway, and you’re not receiving particularly large or heavy packages, this does offer a very safe alternative to your porch. 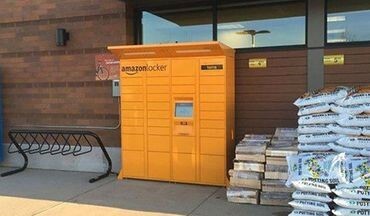 There’s no charge to use Amazon Lockers, and you can also use them for returns — a nice alternative to waiting in line at post office or UPS store. How about a locker for your porch, one that’s not limited to Amazon deliveries? That’s the idea behind BoxLock, a smart padlock that scans packages so that delivery drivers can unlock a storage box on your porch. You provide the box; BoxLock handles the scanning and connectivity. The latter happens over Wi-Fi, with the lock checking the bar code to make sure it’s a box you’re expecting and one tagged “out for delivery.” If so, presto: the lock opens. Sounds like a pretty solid solution, but time will tell: The BoxLock started shipping just a couple weeks ago. The price: a rather hefty $129. Is there a neighbor you trust? One who’s home most days? Consider asking if you can have packages shipped to their house. The hassle for you: picking up those packages at a time that’s convenient for both you and the neighbor. The hassle for them: dealing with delivery drivers, keeping your stuff piled by their door, the aforementioned pickup logistics and so on. Needless to say, this merits some kind of thank you, whether it’s a plate of cookies, a Starbucks gift card, a shoveled driveway in winter — you get the idea. This is arguably one of the safest options, as delivery becomes an “inside job” (meaning packages aren’t left outside). There are a few considerations, however, not the least of which is the need to juggle one or more boxes from your office to your car (or, if you’re a commuter, to your train or bus). Fake or real? Hopefully a porch pirate won’t risk finding out. No thief is going to risk getting caught on camera, right? Actually, cameras aren’t much of a deterrent if criminals don’t know they’re there, which is quite possible with unobtrusive products such as the Ring 2 or Blink Video Doorbell. And that’s the whole point: to deter the theft. So while it’s increasingly affordable to add a video camera to your front porch (the Blink costs just $99), you might do just as well (or better) with a fake one that really stands out. Knowledge is power — in this case, the knowledge that a package has been delivered. That way you’ll know exactly what time it was dropped off and where it was left (front door, back porch, wherever). Whenever possible, sign up for delivery alerts. Amazon, for example, can notify you via text message when a package is shipped, out for delivery and delivered — and also if there’s a problem along the way. To subscribe to this option, access your Amazon account settings, look for the Email alerts, messages and ads section, click Shipment updates via text and then click Subscribe. The USPS, meanwhile, offers a service called Informed Delivery, which includes a packaging-tracking option. Whenever a package is shipped to your address using a USPS tracking number, you can opt to receive email or text notifications indicating delivery status.